ISOBuddy is a simple, user-friendly ISO image file manager that helps you convert many image file formats to ISO. Using ISOBuddy is dead easy: click the Open button to load the image file you want to convert and then click Start. The program supports the image file formats generated by all popular programs, such as NRG by Nero, MDF by Alcohol 120%, CCD by Clone Image and even DMG files from Mac OS systems. Unfortunately, supported target formats are not that many: it only converts to ISO. The list of features in ISOBuddy doesn’t stop here. 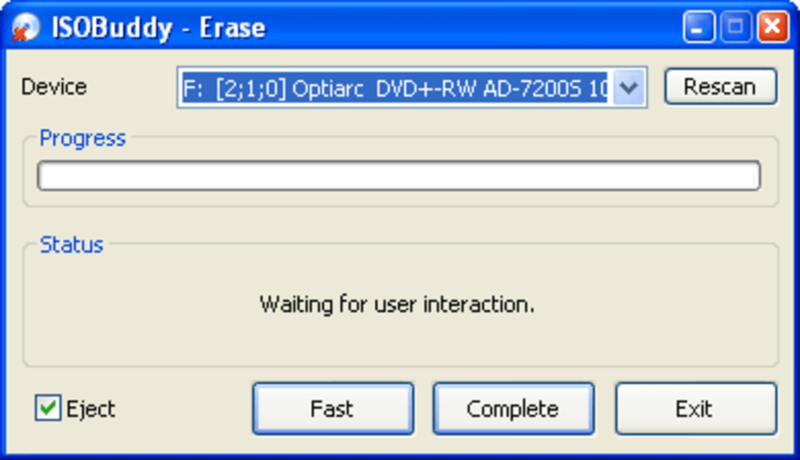 The program also includes a disc burning tool to burn the converted images to CD/DVD straight away, as well as a eraser to wipe the contents of rewritable discs. ISOBuddy is a handy, quick tool to convert from almost any image file format to ISO. What do you think about ISOBuddy? Do you recommend it? Why?